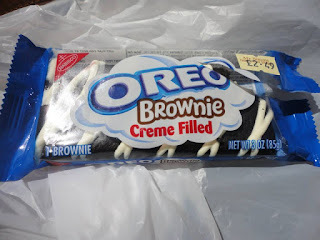 Delicious Oreo Brownie I found in Mr Simm's Ye Olde Sweet Shoppe - I love the beautiful array of American delicacies they stock. I really would advise a visit to one of their shops. 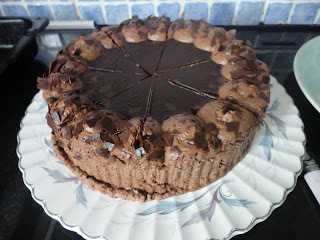 Chocolate gateaux I had on my birthday. 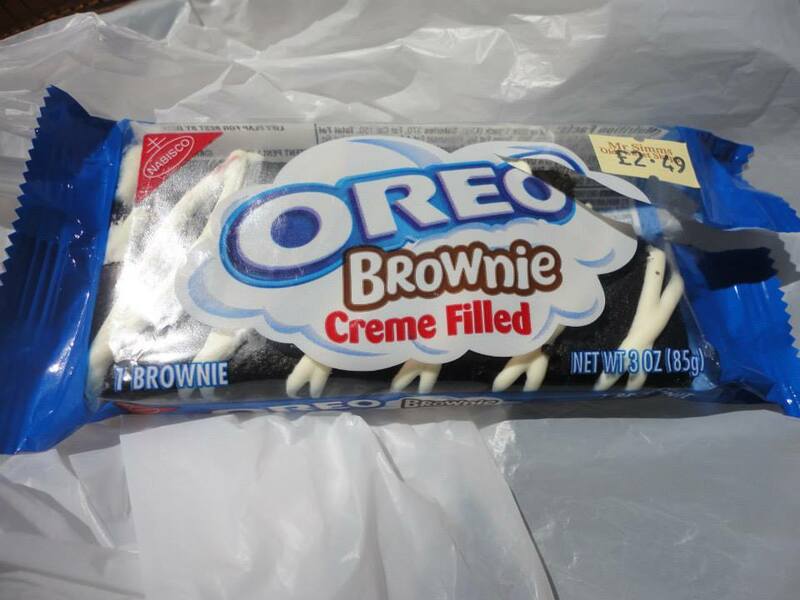 As this post may suggest, I am a shameless chocoholic and this was delightful! 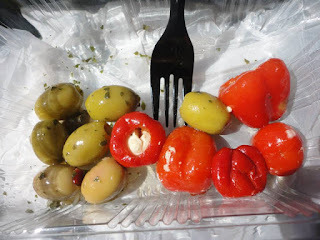 Got these gorgeous olives and stuffed tomatoes at an Italian market stall I found in town. The guys on the stall were so friendly and this was meant to come to £3 or so but they let me have it for £2. Getting all Mediterranean again with this lovely pasta with feta cheese and sun dried tomatoes - I really am one for foreign cuisine! 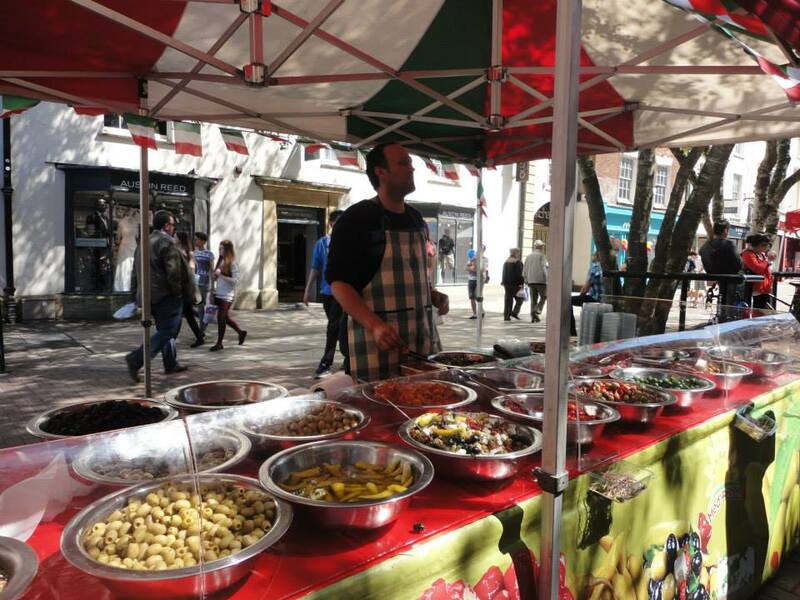 The Italian market where I got the olives. 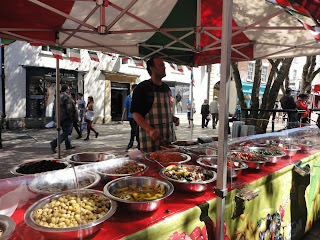 They were just giving olives out to people as they walked by and there were loads of other stalls of flavoured nuts and delicious cakes. Lush! 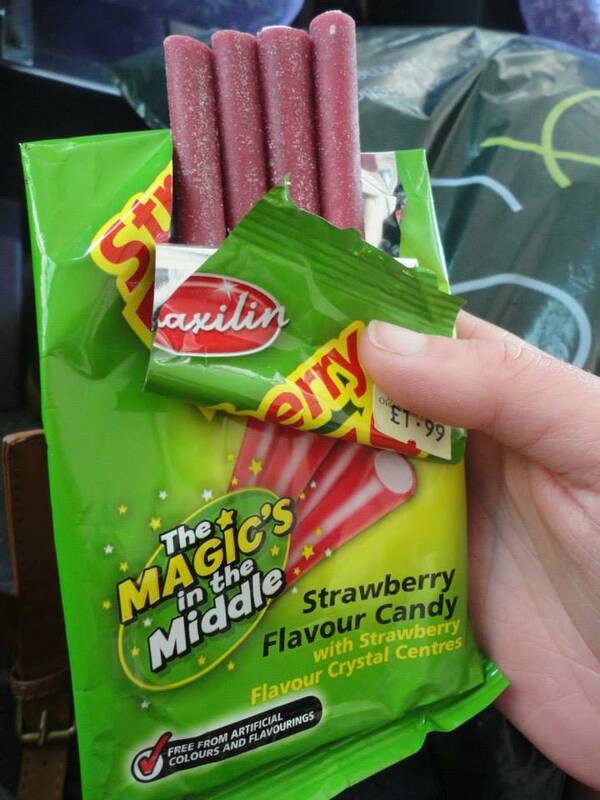 My friend bought these sweets in Mr Simm's sweet shop and they, I assume, are American. They were just the average liquorice-y sweets but they had sherbet instead of a creamy bit in the middle. 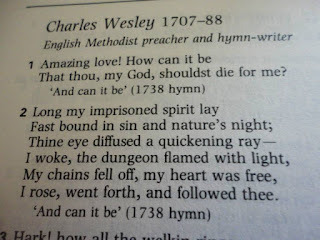 Got a big book of quotes for my birthday and I found my favourite hymn in it. 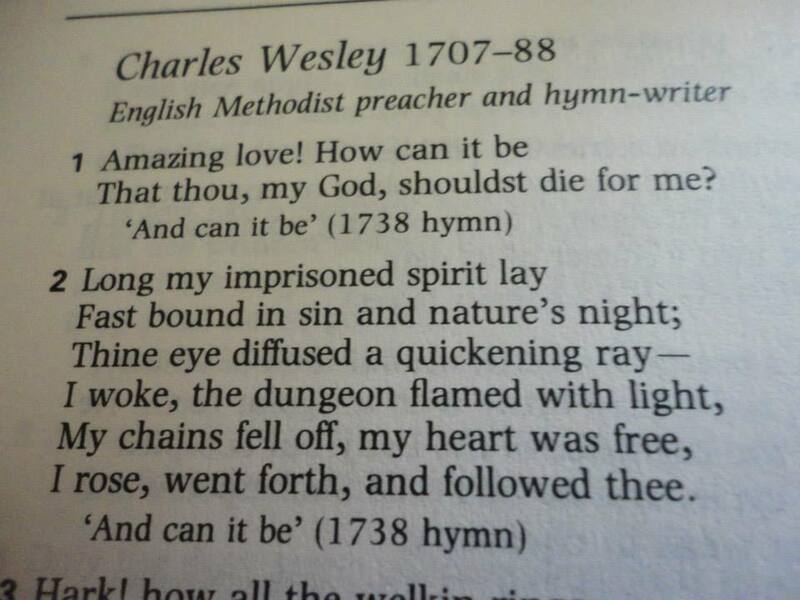 It is 'And Can It Be' by Charles Wesley and I love it. I also have the modern version that was on the Spring Harvest CD on my Ipod - apparently it is by Fat Fish but I am unsure. 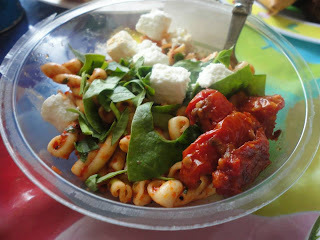 Hope you enjoyed my rather food orientated week in pictures and stay tuned for a haul I have coming soon! Hope you all had a great week too!